Yeine Darr is an outcast from the barbarian north. But when her mother dies under mysterious circumstances, she is summoned to the majestic city of Sky, seat of the ruling Arameri family. There, to her shock, Yeine is named an heiress to the king. 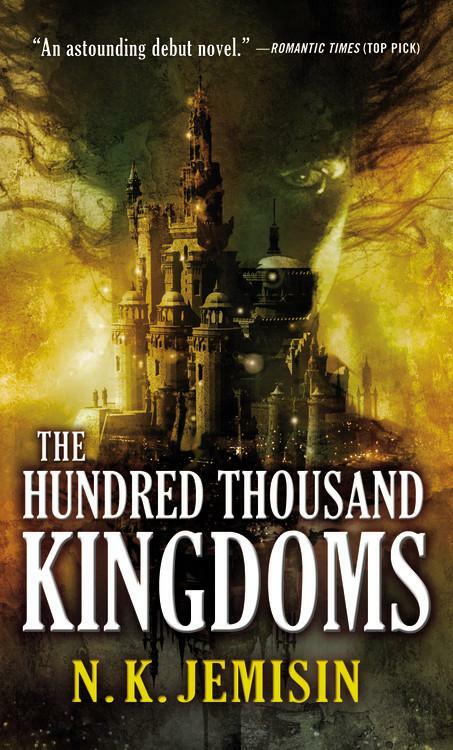 But the throne of the Hundred Thousand Kingdoms is not easily won, and Yeine is thrust into a vicious power struggle with a pair of cousins she never knew she had. As she fights for her life, she draws ever closer to the secrets of her mother’s death and her family’s bloody history. Every once in a while, life intrudes and I am unable to announce new debuts for a while. I am just coming off such an interruption. Unfortunately, whenever this happens, an embarrassingly huge novel is bound to release. It happened last year with The Hundred Thousand Kingdoms. I really would love to read this book, and I will soon. It has all the ingredients I look for in a big, splashy epic fantasy. Stockbridge captures the mood of Dickensian London perfectly in this gripping debut.—BooklistWhitechapel, 1888. Grace Hammer and her children live comfortably in Bell Lane, their home a little oasis in the squalor of London’s East End. They make their living picking the pockets of wealthy strangers foolish enough to venture there. But Grace’s history is about to catch up with her. Out in the countryside Mr. Blunt rocks in his chair, vowing furious retribution. He has never forgotten his scarlet treasure, or the coquettish young woman who stole it from him. Fast-paced, racy, and reminiscent of Charles Dickens’s Oliver Twist, Grace Hammer depicts nineteenth-century London amid corruption and a plague of poverty, peopled by orphans, harlots, and petty thieves. 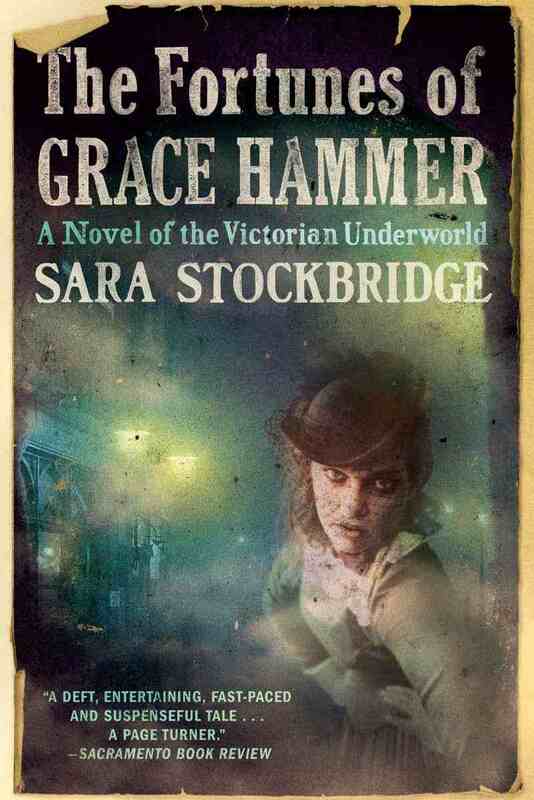 Sara Stockbridge introduces an unlikely heroine in Grace Hammer, a captivating young matriarch in a complicated web of intrigue, deceit, loyalties, and betrayal. Originally published in hardcover as Grace Hammer. At first I thought this was a fantasy–a steampunk–but obviously I was wrong. I was imagining all kinds of magical attributes of the “scarlet treasure”, but now I must be satisfied that it is mundane. I am quite curious about the scarlet treasure, and it seems to me that Mr. Blunt is more interested in the thief than recovering the item in question. The author was once an actress and a model. 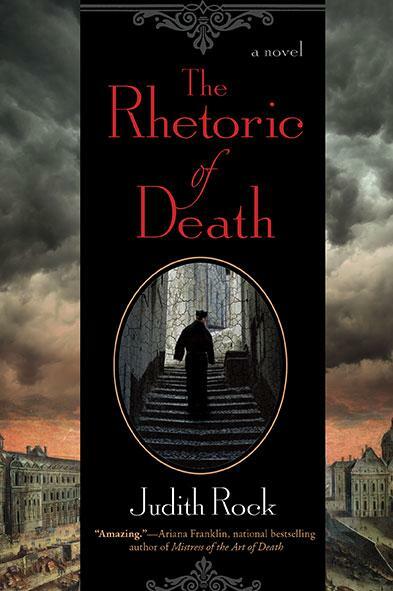 Paris, 1686: When The Bishop of Marseilles discovers that his young cousin Charles du Luc, former soldier and half-fledged Jesuit, has been helping heretics escape the king’s dragoons, the bishop sends him far away—to Paris, where Charles is assigned to assist in teaching rhetoric and directing dance at the prestigious college of Louis le Grand. Charles quickly embraces his new life and responsibilities. But on his first day, the school’s star dancer disappears from rehearsal, and the next day another student is run down in the street. When the dancer’s body is found under the worst possible circumstances, Charles is determined to find the killer in spite of being ordered to leave the investigation. I’d kinda like to know why Charles has such an intense interest in solving this crime of someone he apparently doesn’t even know. I understand a sense of justice and all that, but sometimes, mystery novels don’t get enough into motivation to satisfy me, and they tend to be way too plot-driven. In this case, I think the blurb was too general. 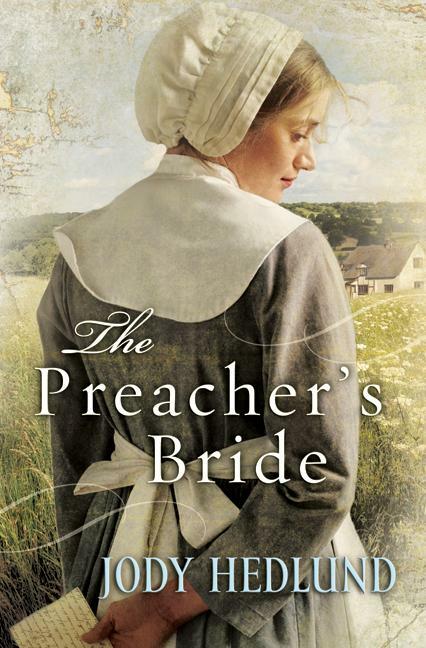 In 1650s England, a young Puritan maiden is on a mission to save the baby of her newly widowed preacher–whether her assistance is wanted or not. Always ready to help those in need, Elizabeth ignores John’s protests of her aid. She’s even willing to risk her lone marriage prospect to help the little family.Yet Elizabeth’s new role as nanny takes a dangerous turn when John’s boldness from the pulpit makes him a target of political and religious leaders. As the preacher’s enemies become desperate to silence him, they draw Elizabeth into a deadly web of deception. Finding herself in more danger than she ever bargained for, she’s more determined than ever to save the child–and man–she’s come to love. I’m not sure if this one is for me. My current taste in Christian historicals is tending toward what are known as prairie romances. (And I have one on my nook!) I just don’t know if I can get into reading about Puritans, unless Nathaniel Hawthorne wrote it :). Running and screaming will have to wait. A blood-sucking dead guy may be a vampire to you, but he’s an alien/human hybrid to Ophelia and she really must examine his olfactory nerve under a microscope first. Ophelia longs to be free, free of diabetes, free of her ex-boyfriend, free to live. Something transformed Martin and made her his drug. If he has his way, she’ll never achieve the freedom to learn his true nature and origin. Adrian’s the new guy in school. He faked his identity to get close to Ophelia, knowing the monsters who took his diabetic sister would try to take Ophelia, too. Then, he’d have them. But, he knew better than to get too close. I am by no means going to attempt to showcase all of Decadent Publishing’s debut novels. As a new publisher, they have a lot, just like Carina Press did. However, Kimber An is a friend, and I am now reading this book and finding that I’m enjoying it more than I expected. When I heard that she was writing about vampires, I had my doubts, but she really did come up with a new angle–vampires who are atttracted to certain diabetics. I missed doing these! This was my catch-up post for October. I am now brushing off my hands and declaring myself caught up, even though I did miss September. Book titles now link to Amazon pages. If you click on these and buy something (not even what is linked here–anything really) I’ll get a small referral fee. I’ll use this money to fund giftcards for giveaways. Hundred Thousand Kingdoms was amazing and one of my favorite books so far this year. Just bought the sequel which came out this week and I can’t wait to read it. Ooh, now I can’t wait! I haven’t really studied up on Puritans, but my impression is that the modern interpitation of them as a group has a lot to do with `The Crucible,’ which had a lot to do with Macarthyism. Whether this particular book is good or not really depends on how the author handles the characters as individuals. Yes, we specifically studied the connection between The Crucible and McCarthyism in 11th grade American Lit. I agree that it probably has potential; I’d just have to be in the mood. 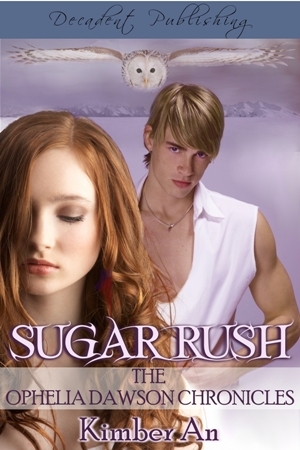 Thanks for talking about Sugar Rush again, Tia! After looking at the Young Adult aisle in my bookstore, I figured I’d never achieve publication if I didn’t throw a blood-sucking dead guy in to my next book. But, Brandon doesn’t exactly sparkle. He likes the smell of Twinkies, is obsessed with Supermario on Nintendo DS, and always looks both ways when he crosses the street.